Winning the lottery is an exciting moment no matter who you are. Most people spend days and sometimes even months revelling in the happiness of a big win. It is usually a life-changing event no matter who you are. It allows you the chance to buy the car you always wanted, go on vacation to the place you’ve dreamt about, or simply to live a life of financial freedom from debt and stress. Sometimes, however, winners of lottery jackpots tend to overlook the practicalities of winning such a large sum of money. This is easy to do while being caught up in the moment of their lives being changed forever. One of the things that most people neglect to think about is what winning a lotto jackpot is going to cost them in taxes. Taxes owed is one of those nasty things that are placed on the back burner for almost everyone who wins. 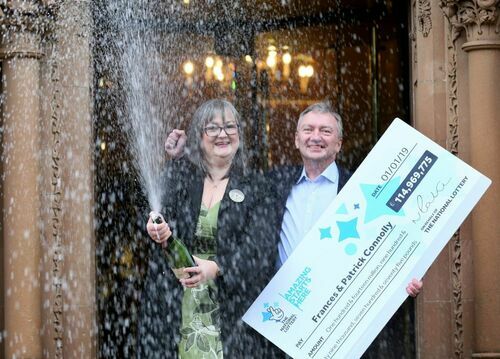 So below is some important information about taxes on lottery winnings in the UK to help give you a better understanding of what will happen when you hit the jackpot. 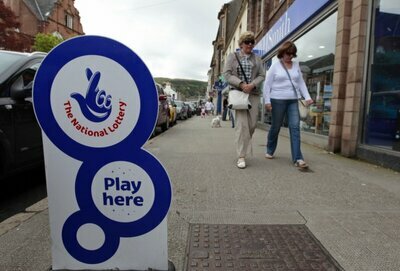 Are Lottery Winnings in the UK Taxed? The short answer is something that will bring a smile to your face: no. Winnings from the UK lottery are completely tax free as long as you are a UK citizen, meaning that anything you win is yours to do with as you please—until you bank it. Once you have banked your winnings, you become liable for one or more of three of the types of taxation in the UK, and depending on which tax you are faced with, you could see your winnings decreasing rather alarmingly. Still, this is much better than how the US taxes lottery wins. If you decide to deposit your winnings into any bank account or investment that earns interest, you become liable for income tax. This includes day-to-day savings and transactional accounts in most banks. Standard income tax is taken off of the interest earned by your winnings. The good news is that this is generally not that huge of an amount. Depending on how much you deposit into which investment, your tax might not be significant. However, if you exceed the annual threshold on interest earned of £15,240, you become liable to be taxed for capital gains tax. Due to the fact that capital gains tax is charged at a much higher rate, you could see a large sum of your winnings be taxed and taken away. The third type of tax, which is separate from income and capital gains tax, that you could be charged for is the UK tax. This will only affect your estate, however, if something were to happen to you that results in your death. If your winnings take your estate to an amount higher than £325,000, your estate could be liable to pay up to 40% on any amount above that threshold. If you have won a substantial amount of money, this could become a significant figure to lose to taxes on. One way to reduce the 40% is by donating at least 10% of your winnings to a registered charity or charities while you are alive. This, however, will still only bring the taxation percentage down to 36%. This reduces your winnings by a staggering amount for all those who would receive if from your estate. For instance, if you win £50 million on the lottery, an amount of almost £19 million could be paid in taxes, and that is on just your winnings! Another way people try to get around paying out too much on tax is to financially bless others. Many people feel very generous when they win the lottery and decide to gift large amounts to friends and family. It makes them feel good, knowing that they are helping those that they care about, and most people see it as a tax write-off due to the fact that they have given the money away. However, even this can become a problem in certain instances. If anything happens to you within 7 years of winning the jackpot, any money that you have gifted to friends and family is still subject to inheritance tax, as it is still counted as part of your estate. The only exclusion to this is the allowable threshold of a £3,000 gift per annum to any one person. This means that the friends and family that you have gifted the money to become liable to pay the taxes due to the HMRC on any amount higher than the limit of £3,000 per annum. There is a glimmer of hope, however. If you place your winnings into an interest-free bank account or a tax-effective investment such as a pension, your money will be safe from most types of taxation. Nowadays, tax-free investment accounts are also gaining popularity and you could use them wisely to maximize the profits from your winnings, without losing too much on tax. These accounts work well to help minimize the tax paid on your winnings due to the fact that these accounts generally have their own taxation clauses set upon them and are not taxed in the regular way. Another positive of these accounts is that they tend to be fixed-term investment accounts, meaning that your money will be safe and protected from spontaneous purchases which could otherwise reduce your winnings fairly quickly. While winning the lottery can bring a huge amount of joy to your life and to the lives of those that you want to gift money too, just remember that taxes on lottery winnings in the UK are not completely nonexistent. At some point or another, all winnings will encounter income, capital gains, or inheritance tax. It is therefore recommended that you find a financial advisor to help you best deal with your winnings and make sure that you can make the most of them. This will lead to you being able to continue enjoying them long after you have hit the jackpot. In the meantime, here are five essential things you should do after winning the lottery. Now that you better understand how the UK approaches lottery winnings, buy a ticket for UK Lotto, UK Thunderball, or one of the world's best lotteries and find out just how much luck is on your side. Becoming a winner might be easier than you think.